Where wild lavender meets a thicket of honey bush, there's this compact case of solid fragrance. Swivel open this walnut wood case and let the scent transport you to where wild blossoms of lavender and geranium meet a thicket of honey bush. This solid women’s fragrance captures that garden-in-bloom aroma with 11 essential oils infused in a balm of beeswax and jojoba oil. 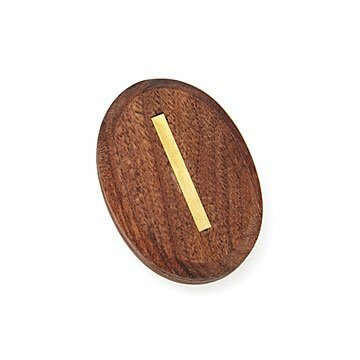 Presented in a compact walnut wood case with brass inlay and magnetic closure, it's an enticingly delicate scent sure to please outdoor adventurers and perennial virtuosos. Made in New York.